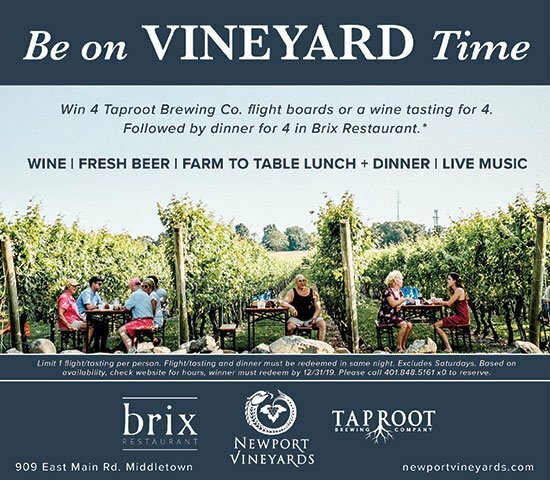 The 2018 Best of Rhode Island Winners! Editors and readers name their picks for the state's best spots for food, shopping, fun and beauty. FUN, NEW FINDS TO SPRUCE UP YOUR WARDROBE OR OUTFIT YOUR NEST. Cerulean’s wares have a down-by-the-sea vibe. Photo courtesy of Cerulean. When artisans come together good things happen, and you don’t have to look further than Cerulean to see why. The love child of jewelry designer Kate Simpson and furniture restorer Althea Tower, the store is chock-full of local and handmade goods, everything from decor to signage to soaps (many with a subtle nod to the ocean) that are sure to make a friend’s day, whether it’s her birthday or just because. In this age of upcycling, Sea Rose is our go-to resource when it comes time to give a desk or chest of drawers a second life. A retailer of Annie Sloan Chalk Paint, Saltwash, Miss Mustard Seed Milk Paint and a slew of decorative knobs, stencils and other finishes, this shop has all the products — plus expert knowledge to boot — to make our old furniture new again. You’ll find everything here for the home brewer or those of us who are simply aficionados, from customizable beer taps in spalted beech or maple to handmade bottle openers made of mango or bamboo, even handy cypress six-pack totes. If beer isn’t your beverage of choice, there are also wooden serving trays, handsome pens and cutting boards. For more than ten years now, designer Maya Cordeiro has been turning thread into stunning woven textiles with little more than a handloom and an artist’s eye. Her fabrics take the form of everything from scarves to napkins to baby blankets in more colorful ways than we can keep track of, and she even does custom orders, for those times when nothing short of one-of-a-kind will do. RISD grad Anna Galloway Highsmith fashions handsome mugs, pitchers, plates, sugar bowls and creamers in her tiny backyard studio in Providence. With no running water in her workshop, Smith limits her fresh water use to about a gallon a month, hand rolling each piece from speckled or creamy white clay, using only a rolling pin, small tools, leadfree colors and glazes, before firing each at 2,200 degrees Fahrenheit. A recent stoneware design, inspired by dried dill from last summer’s garden, is our new must-have. If you can’t find the perfect something for your mom or bestie here, it probably doesn’t exist. Last time we looked, we lusted after everything we laid eyes on, from the framed pebble artwork, luscious scarves and Vera Bradley bags to the Java Skin Care coffee-infused body wash and delicate bling of Qudo stackable rings. The friendly staff also does free gift wrapping, a godsend for those of us who are all thumbs when it comes to making presents look pretty. The Golden Sparrow’s Carolyn Gloster breathes new life into well-loved, vintage treasures as well as freshly minted finds. Treat yourself to a plaid pillow, newly upholstered antique side chair or Le Creuset griddle or shower a friend with a slice of creativity from a featured artist, hip felted tote or delicate hand-poured candle. 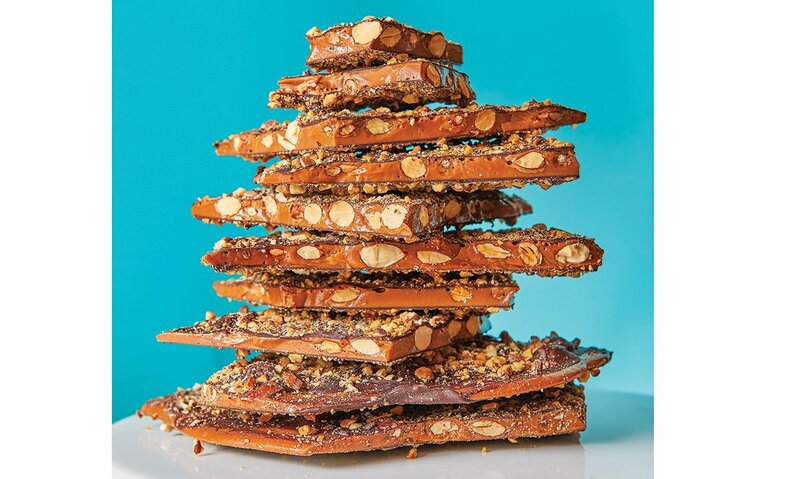 Tower of power: Anchor Toffee, crammed with chocolate and almonds. Photo by Angel Tucker. indulgence, Anchor Toffee. Now we can treat ourselves at the pretty new shop in Newport. Johnson and Wales instructor Peter Kelly made the candy at home for twenty years before deciding to go pro with his wife, Katie, in 2014, selling online and to retailers. He’s also whipping up other developments, including the debut of a dairy-free coconut almond toffee, which sounds like a sweet deal to us. Part bookshop, part gathering space, the Collective — a female-forward spot that ups your activist cred after just one visit — is a radical addition to the heart of Peace Dale. 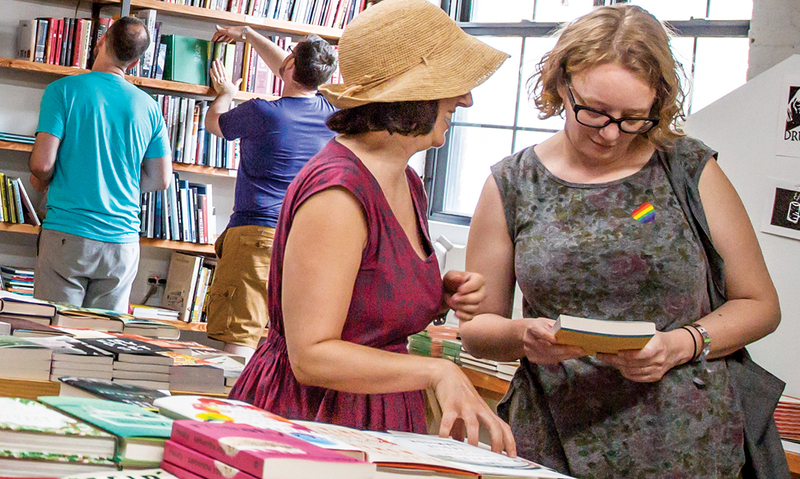 Browse fiction, zines or “art in action” books; participate in a girls’ auto clinic; host a book club; or gain sustenance in the form of free coffee, snacks and cerebral conversation. Anyone who spends time in the kitchen knows aprons can be a literal pain in the neck. Straps dig grooves into shoulders and, with minimal coverage, cooking splatters go everywhere. Behold the Chezpron, a comfortable and functional cook’s apron created by Chez Pascal’s Kristin and Matt Gennuso and made in New Bedford. Adjustable straps, plenty of pockets, reversible and long enough to cover a multitude of spills: At $80, this professional-style coverall will have the home chef cooking up a storm. Shopping at the Vault is akin to a heist: You steal the personal style of a keen-eyed vintage expert and claim it as your own. This large shop on Westminster Street houses clothing, shoes and accessories for men and women from a dozen dealers. A recent haul included a 1970s shift dress (with original tags attached! ), a patent leather handbag and triangular red earrings. Fresh fashions and throwback treasures are the draw at Cured Collection. The vibrant shop has the latest styles and sportswear from Supreme, Guess and Polo, and an eye-popping selection of vintage Ts repping a dizzying spectrum of cultural icons, from Avril Lavigne to Scarface to Winnie the Pooh. You’ll be tempted to collect them all. A rule of thumb is fresh beer is better beer. But some styles — stouts, barleywines, Belgian ales — evolve and improve with age. The beer pros at Nikki’s Liquors do the cellaring for you. They cultivate rare bottles and share the fermented wealth in their Vintage Craft Beer Room, with an ever-changing and alluring selection of special brews available for very reasonable prices. Local food blogger Holly Vine (Holly Likes to Cook) has concocted a new project with her line of stationery that ranges from stylish hand-lettered prints with single words of inspiration to cute culinary ink doodles (“Donut worry, be happy”) to pretty greeting cards. New on the list? Delicate custom pencil and watercolor portraits, with more paper and home decor products coming soon. Eagle-eyed browsers like us have been known to meander down the well-stocked aisles at Savory Grape on the lookout for a robust Italian vino or cool craft beer. Now our chances of finding a new favorite have increased roughly five times, thanks to SG’s expansion into the long-closed Walgreen’s next door, where we’ll have even more tasty potables to discover. Shop for everything for your favorite furry friends from adorable outfits, cute collars, leashes and toys to nutritional supplements, sunscreen and cat treats. (Codfish skins? Purrfect.) Owner Johnna Devereaux is a certified cat and dog nutritionist and all the food is natural and made in the United States. Bring your pooch in for a quick pic and he or she can join the store’s growing canine Wall of Fame. These cutting boards are so eye-catching, we don’t know whether to use them to chop onions or display them on a coffee table. Handmade in Warren by craftsman John Hugo, they come in rich maple, cherry or walnut, in classical or playful shapes including surfboards, baguettes and sperm whales, many less than $50. With a lifetime guarantee, the results are both useful and stylish, and they make a pretty nifty gift for any occasion. Even the most hapless gardeners can find a green friend to take home here. The expert staff will point you in the right direction based on your needs (low sun, cats, not easily killed, etc.) and you take it from there, choosing among the store’s dozens of in-stock varieties, from petite table toppers to larger potted trees that can fill an empty corner with life. Riffraff’s simple concept combines two favorites; reading and cocktails. Chris Vaccaro. The definition of riffraff, “disreputable persons,” certainly doesn’t apply to the clientele that gathers at this urban oasis. The Olneyville bookstore — a full bar with lit-themed cocktails, a coffee shop and patio — soothes and stimulates with luscious liquids and an enticing selection of reading material from small presses and mainstream publishers. It also hosts book clubs, readings and a game night on Tuesdays. 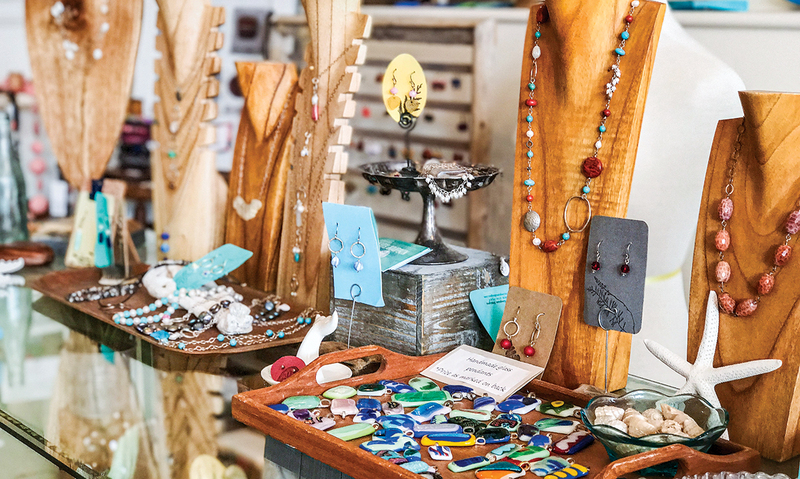 This cozy shop, a stone’s throw from the airport, is packed with all things 401: refrigerator magnets, postcards, mugs, T-shirts, posters, shot glasses and ornaments graced with iconic Rhody imagery (heavy on the seascapes and WaterFire). 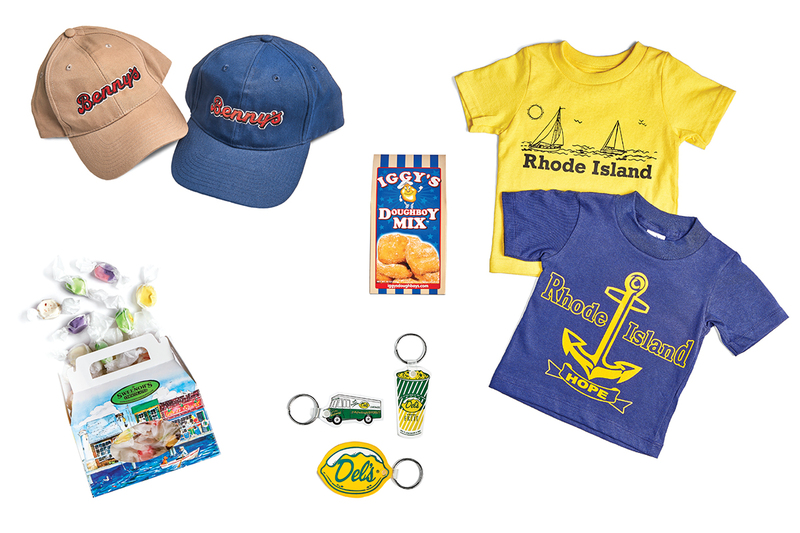 Plus: DIY Del’s, Iggy’s and Olneyville N.Y. System hot wiener kits, crafts by local artisans, Rhode Island-centric books, and a bounty of Benny’s memorabilia. It’s a one-stop mecca for tourists and lifelong residents. There’s always something to covet here, from hipster boho sundresses to upcycled vintage denim. Last time we looked there were deep blue tie-dyed scarves and fringed wall hangings sharing space along the white-washed walls with locally made jewelry and hand-designed cards, all guaranteed to make us feel sunny, regardless of the weather. We’re confident we won’t hear from the fashion police when we’re working out in high-waisted leggings or capri pants from this on-trend boutique. With brands like Billabong, Beyond Yoga, Tavi, RVCA, Onzie and Maaji Active, Balance on Thames’s styles are comfortable, with bold, modern prints and fabrics. The shop also carries a line of flattering one and two-piece bathing suits for when we’d rather just lounge on the beach. This sweet little boutique in a former forge is crammed with creative home accents and jewelry, among other desirables, but it’s the hard-to-find accessories that keep us coming back no matter the season. Striped Mexican cotton bags in spring? Check. Soft Japanese casual scarves in summer? Check. Cozy wool hats and furry gloves in rich jewel tones in winter? Check, and check. And our latest fave? The Wonder Woman tasseled tote.